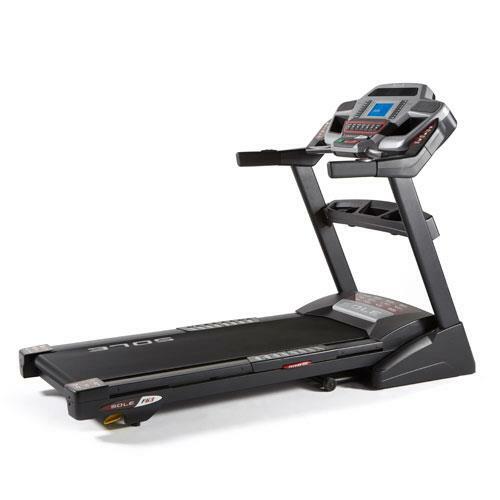 The F63 treadmill has been reviewed as "Simply the best quality treadmill in its price range" ans "an unbelievable value" by numerous consumer resources and magazines. 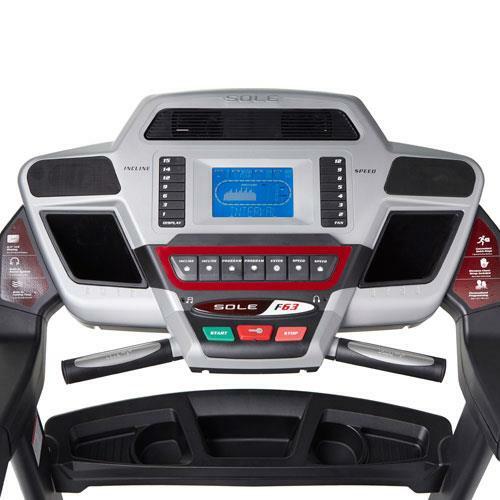 SOLE has earned the reputation of building quality treadmills using the best components and the F63 holds true to this even at its lower price. The strong, 3.0 CHP motor delivers challenging speeds up to 12 mph and inclines up to 15 levels. When not in use the treadmill deck locks safely into place, 100% secured. Machine Dimensions: Height(in. ):	58" Item Weight(lbs. ):	253 lbs. Length(in. ):	83" Weight Capacity(lbs. ):	325 lbs. Width(in. 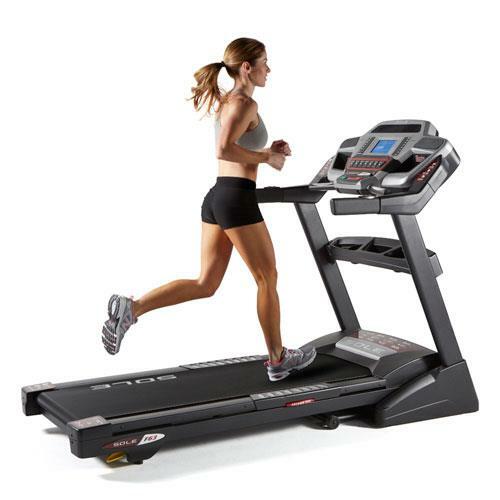 ):	33" Deck Size:	33" x 83" Running Surface:	20" X 60" Rollers:	2.5"